Accidents happen. Sometimes, they’re more serious than others. With stoners, accidents seem to happen more often than they should. But when you really hurt yourself, can cannabis help you out? Absolutely. Properties in the cannabis plant can help your body to heal so that scars don’t form as badly. Cannabis has anti inflammatory properties, which when applied in a salve, will prevent your body from rushing to heal the wound. The rush of white blood cells to the injury is the cause of the scar and the anti inflammatory slows that process down. The scar doesn’t form as badly and while it is still there, won’t be as rough when it finally finishes healing. 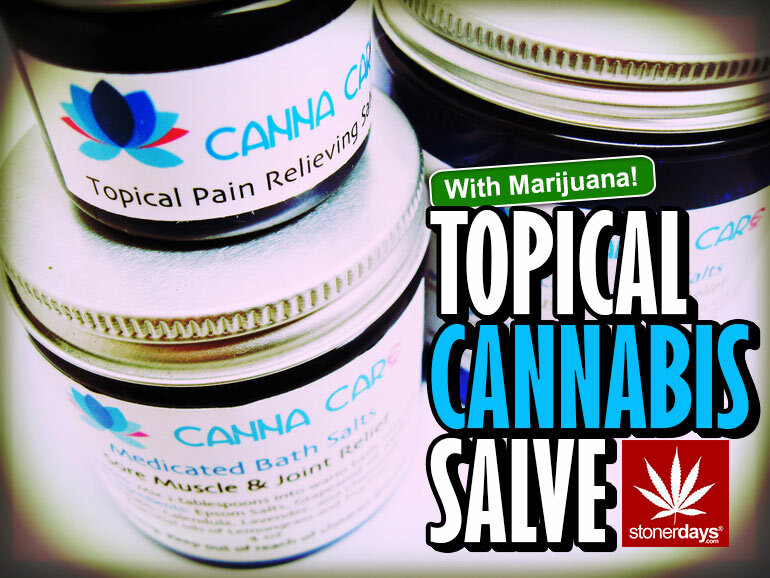 The following is the steps to making your own cannabis salve. This can be used on burns, partly healed wounds, and any sort of skin affliction that swells or certain types of rashes, such as eczema. It is not recommended that you use the salve on fresh wounds. The first step is to infuse the olive oil with cannabis. Using the cheesecloth and the twine, wrap the cannabis up in to a little bundle. Make sure the bundle is secure so that none of the cannabis gets in to the oil. Put the oil in to a pot and toss in the cheesecloth cannabis bundle. Put a cover on the pot and allow the oil to simmer on low heat for about 24 hours. When the 24 hours is up, remove the bundle while wearing gloves (be careful, it may be hot). Squeeze out the leftover oil, as a lot will get trapped in the ground cannabis inside. Put the now cannabis infused oil back on the stove and slowly add in the beeswax. As the wax melts, be sure to have your jars set up on the side, ready for the finished mixture. After the wax has completely melted, stir in the vitamin E and the Arnica oil. Keep in mind that once this mix is removed from the heat source, it will begin to solidify so very quickly take it from the stove and move it in to the jars. Leave the jars uncovered to set overnight. Stoner Stories; You’re Free To Go… Just Kidding!